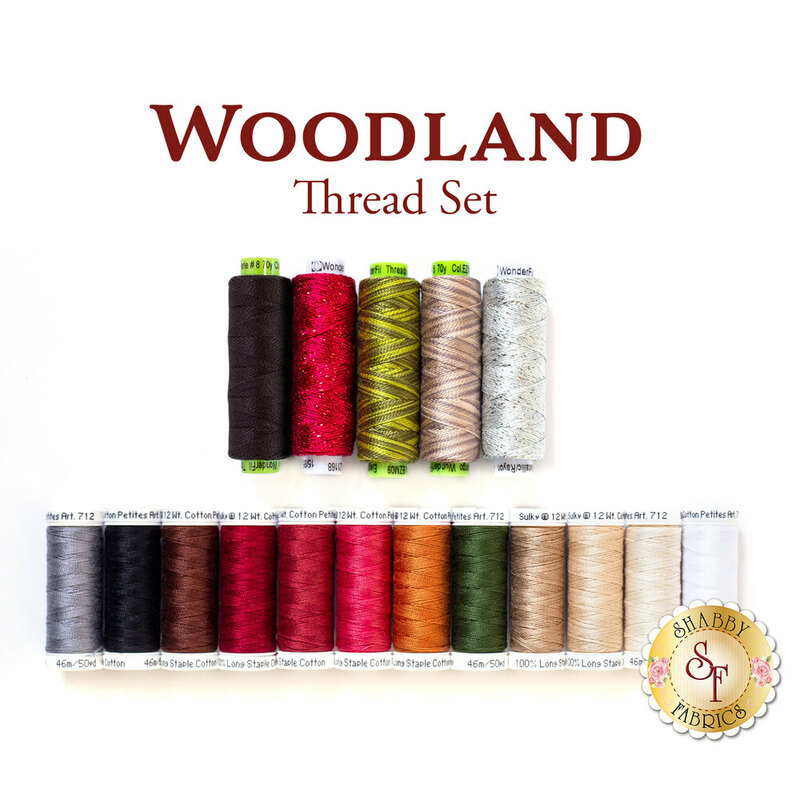 This 17 piece thread set has been hand selected specifically for the Woodland Holiday Table Runner and the Woodland Mat! The thicker thread is ideal for wool as the thicker weight means your machine or hand embroidery stitches will stand out and be noticed instead of disappearing into the wool. These threads are perfect for adding that extra special touch! twelve (12) 50 yard spools of Sulky Cotton Petites 12 WT.